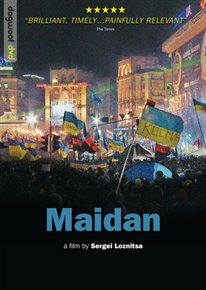 Documentary centred around the civil uprisings in Ukraine during 2013 and the eventual revolution of 2014. In November 2013 protestors took to the streets to express their dissatisfaction with President Viktor Yanukovych, his corrupt government and their increasingly close ties to Russia which culminated in the issuing of a multi-billion dollar loan. The protests began when citizens occupied Kiev’s Maidan Nezalezhnosti Square with the film crew strategically placed at the heart of the movement. But what began peacefully resulted in violent clashes with police as the occupiers refused to yield the square and finally issued an ultimatum to engage in armed conflict if Yanukovych did not resign.